Free Gamer - Open Source Games: Onslaught Arena Now Open Source Code! Onslaught Arena, a HTML5 top-down shooter that has a non-space-ship-scenario, is now open source code, non-free assets on GitHub. The assets are included under non-commercial terms and the developers did not have the time to read about Creative Commons licenses, which I'm sure is one of the reasons why CC-BY-SA isn't widely adopted: time. If you are able to give a concise description, please do in this thread. 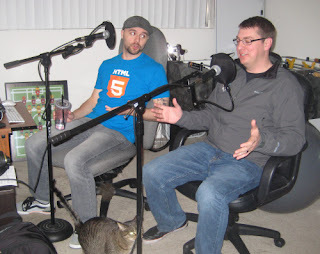 The team's blog is also home to a podcast about HTML5 games.